AlaskaChallenge Guide Service is proud to say we offer some of the best Moose hunting in the state. 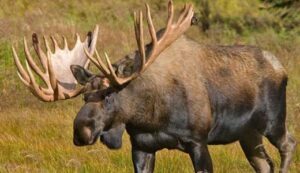 If you do the research you'll quickly see that the Koyukuk River area has the highest population of Moose in the state of Alaska. No aircraft has been used for moose hunting since 1978. This as helped to increase the Moose population to its current abundant numbers. AlaskaChallenge Guide Service offers two types of Moose hunts in; drawing permits hunts in December for the following year, and over the counter tags. These hunting areas are in close proximity of each other.